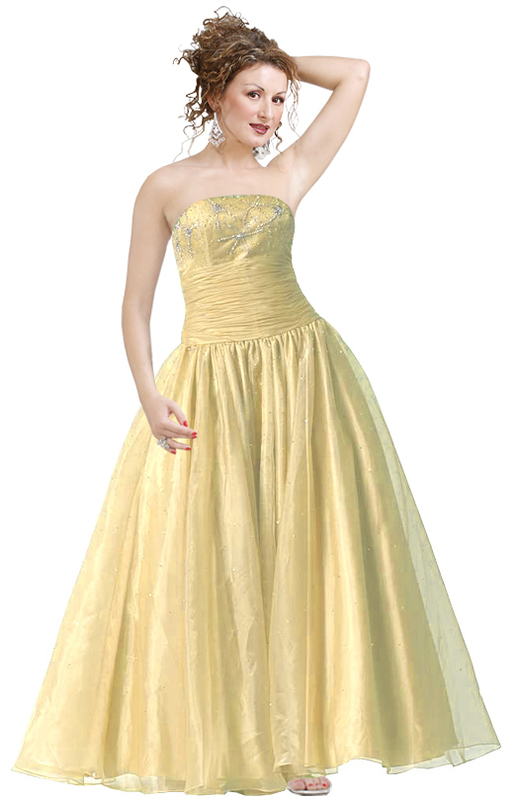 Be an ocean of beauty in this striking strapless ball gown. The beaded bust and the ruched waist are the two eye-grabbing details in this ball gown. The skirt is puffed up and there are small beads sprinkled evenly. Hog all the deserved limelight at the much-awaited ball night.